It's a gray day, little vibrancy in the sky and little coloration on the ground. A boring noisy high-pitched dog yelps on in the neighbor's back yard. Her name is Eugenie, so glamorous. Nature portrays the mood of the day which for Christians is Ash Wednesday, the beginning of Lent. A gray-as-ash day is very appropriate, although I often think Nature controls all things—such arbitrary governance! Still gray is good, because life happens most often in the gray areas, never black and white as would be easy. That is the case with this gray day when we turn to ourselves, our neighbors and our Godde to acknowledge that we have, well, blown it— in many small and big ways. Sin is no more pure than is righteousness. It's all gray like this day. Lent kicks off with a ritual by which we say prayers, praise the grace of God, and commit ourselves to a process of discernment and reflection about who we are, who God is for us, and how we walk with Jesus Christ in the way of compassion, even unto death, and beyond. 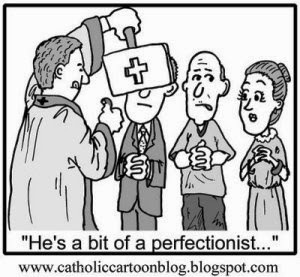 We smear ashes on our foreheads to signify that we are mortal and, though very good, not perfect—ever. Just gray. Lent is serious but not depressing, not for soul-lashings. Just STOP, LOOK, and LISTEN. The hardest to keep of these three commands in this addictive, consumerist, rush of a culture is: STOP!! Deep breathing might help. ARE WOMEN GOOD FOR GOD? The Rev. Lyn G. Brakeman will offer a quiet retreat day on Saturday March 15 at Miramar Retreat Center in Duxbury, MA. from 10a.m. to 3 p.m. Cost is $40.00 including lunch.This day is for women and any men interested in exploring the implications of the odd query above. Through meditations, quiet prayer time, journaling and spiritual direction with Lyn on request, we will focus on the biblical stories of Mary of Nazareth and the Syrophoenician Woman. What happens when a woman summons the courage to speak her mind directly, to confront Divinity, to challenge social and religious norms? To register call Miramar at 781-585-2460 or email at miramar@aol.com. THE ART AND CRAFT OF SPIRITUAL WRITING The Rev. 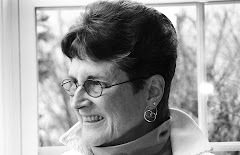 Lyn G. Brakeman will teach a course at Grub Street, Boylston St., Boston, on Saturday March 22, 10-5 p.m. Writers say that all good writing is spiritual, which is true when writing inspires us to engage our own deepest heart and mind. Yet there are nuances and particularities to focus on, especially if one uses religious content, vocabulary, symbols and ritual when it is appropriate to a character or to yourself, if it's memoir. We will talk about both differences and connections between religion and spirituality and encourage writers to be free from either/or thinking. Much of our time will be spent writing and looking at samples. To register go to www.grubstreet.org or call 617-695-0075.